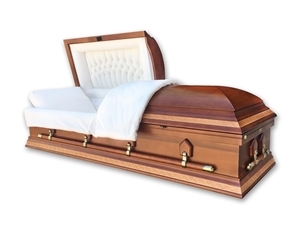 A beautiful way to portray your loved ones remains after they have passed on is to put them in a beautifully hand crafted wooden coffin or wooden casket. 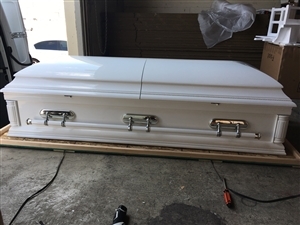 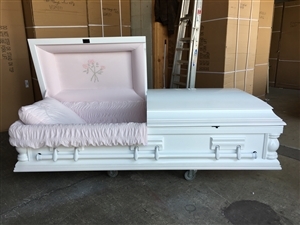 We have several funeral caskets for sale. 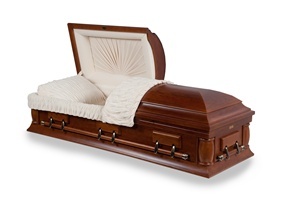 Not only are they made of different types of wood but they also come in a variety of shapes, sizes, and colors. 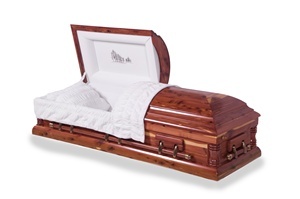 We only use high quality wood for our caskets. 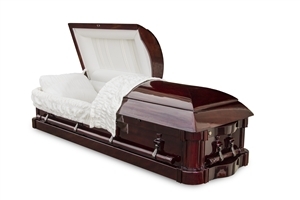 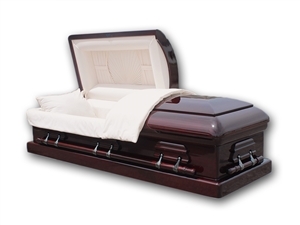 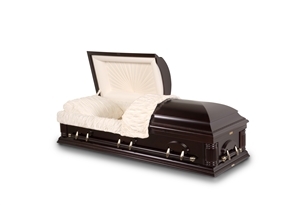 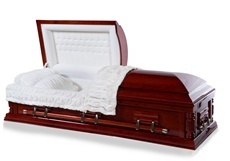 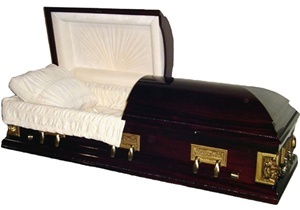 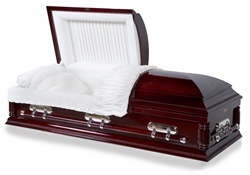 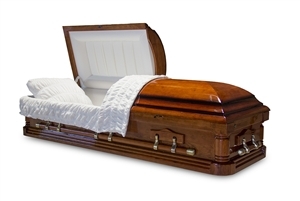 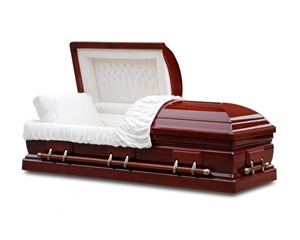 Our selection of hand made wooden caskets for sale includes; Mahogany Caskets, Cedar Caskets, Oak Caskets, Cherry, Walnut, and even Pine Caskets. 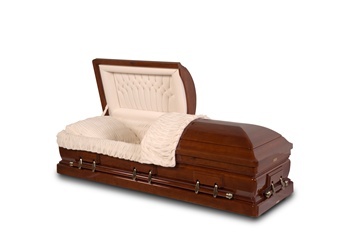 These are all solid wood caskets. 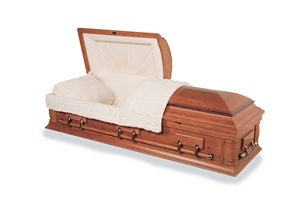 We do not use veneer wood on any of our burial caskets. 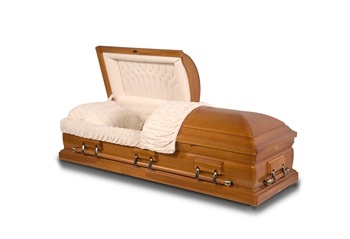 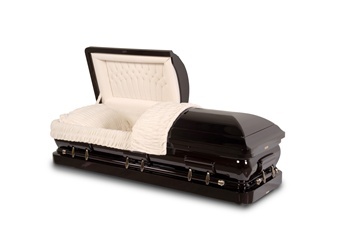 Unlike metal caskets, wooden caskets do not make an air tight seal when closed so you may want to purchase a sealed vault when you are preparing for the final resting place of your loved one.